Modern hip replacement surgeries can help you get back to your normal activities quickly, helping you stay active and healthy. One of the best-rated hip surgeons in NYC, Rupesh Tarwala, MD, of New York Bone & Joint Specialists, performs minimally invasive hip replacement surgeries. You can book your hip replacement evaluation at the NYC practice’s Upper East Side, Midtown West clinic locations by clicking on the online scheduler. You can also call your nearest location directly. New York Bone & Joint Specialists’ Dr. Tarwala is an internationally recognized expert on hip conditions, earning the trust of his patients with his thorough attention to detail and cheerful bedside manner. What happens during a hip replacement surgery? Hip replacement surgery can usually be performed using minimally invasive measures rather than a traditional open procedure. While you’re under general anesthesia, Dr. Tarwala will make several small incisions, using specialized surgical tools to cut and remove damaged bone as well as some of the surrounding soft tissues. The next step involves placing a metal stem into the hollow part of your femur (thigh bone). Dr. Tarwala then places a metal or ceramic ball on top of the stem to replace your femoral head. He implants a metal socket into your hip bone and reattaches muscles and connective tissues. The final part of the hip replacement surgery involves permanently placing your new femoral head into your new socket while placing a protective plastic or ceramic spacer between them to allow for gliding. After closing the incisions, you’ll relax in the recovery room while you acclimate as the anesthesia wears off. A hip replacement surgery is a major orthopedic procedure, so you need to plan on staying in the hospital for observation for at least a couple of days. Once you return home you can start performing passive exercises with your physical therapist as recommended. You should be able to return to light activities within about three to six weeks after surgery. It’s common to be able to resume many of your recreational activities within about 12-15 weeks after surgery, with a full recovery taking about six to eight months. Dr. Tarwala and the expert hip surgeons at New York Bone & Joint Specialists will have you come in for several follow-up appointments throughout your recovery process to ensure your hip replacement is a complete success. 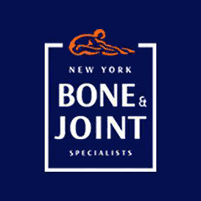 Schedule your evaluation with the best hip surgeons in NYC at New York Bone & Joint Specialists today. Book online or over the phone.